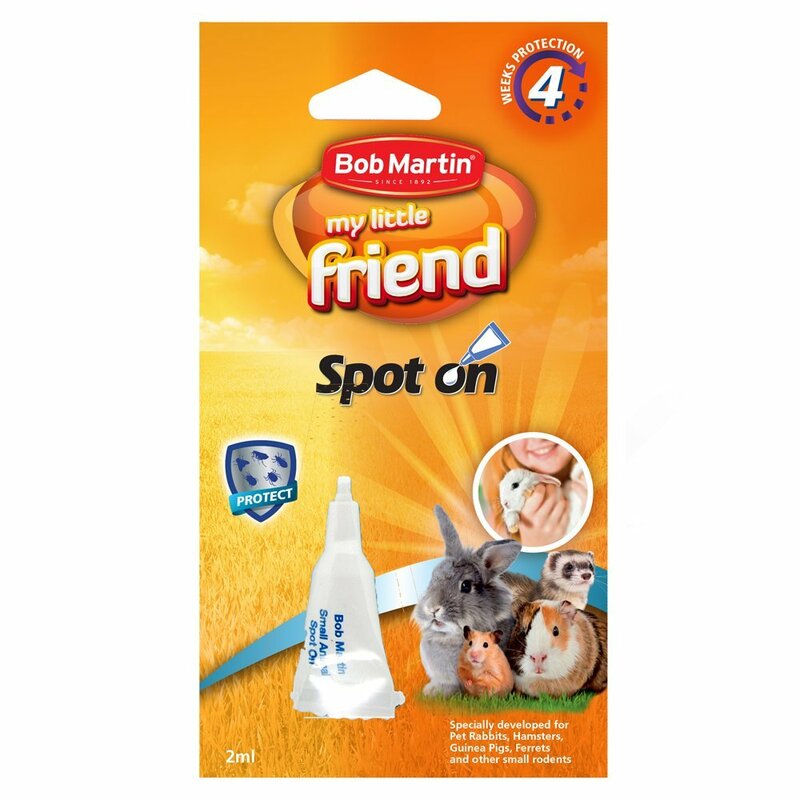 My Little Friend Spot On has been specially developed for pet rabbits, hamsters, guinea pigs and other small rodents to quickly repel flies, fleas, ticks, lice and mites. Regular use of this Spot On will ensure continuous protection. For external use on small animals only. 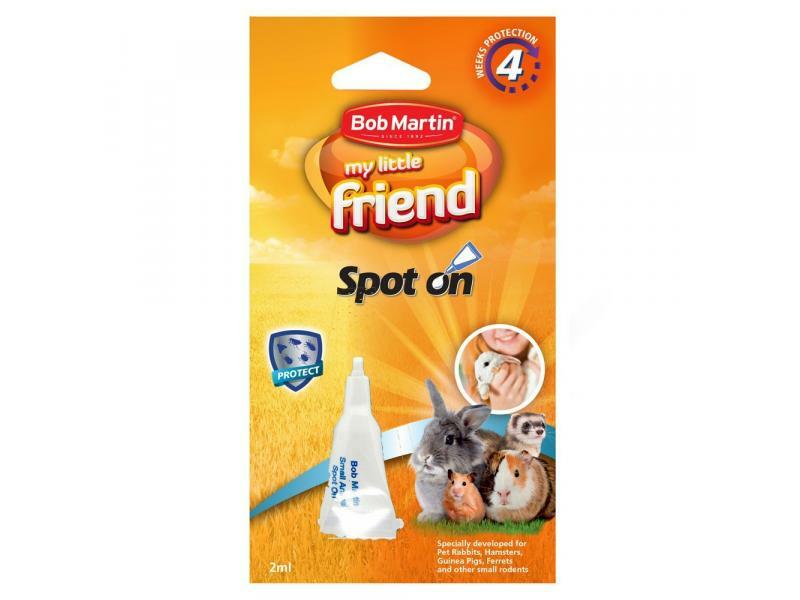 VioVet recommend that if you have an existing flea or mite problem that this is eradicated before using Bob Martin My Little Friend Spot On. There are currently no questions for Bob Martin Spot On Small Animals - be the first to ask one!